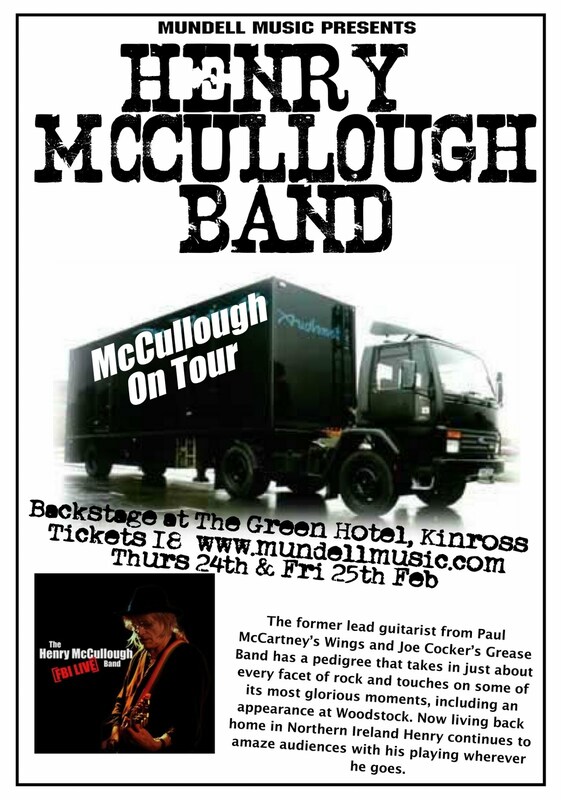 BLOG - BETWEEN A ROCK & A HARD PLACE: McCullough on Tour! The former lead guitarist from Paul McCartney’s Wings and Joe Cocker’s Grease Band has a pedigree that takes in just about every facet of rock and touches on some of its most glorious moments, including an appearance at Woodstock. Now living back home in Northern Ireland Henry continues to amaze audiences with his playing wherever he goes. Henry McCullough and his Band have played every FIFESTOCK FESTIVAL and 2011 is no exception! Mark the dates in your diary. 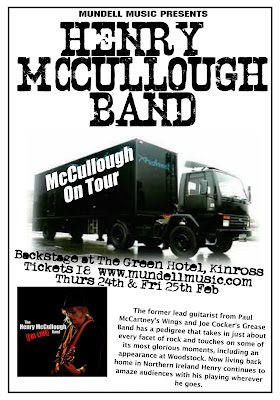 Check out other live music dates here in Kinross, Scotland.....Here.